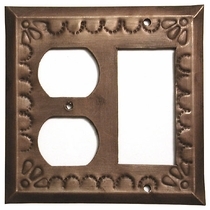 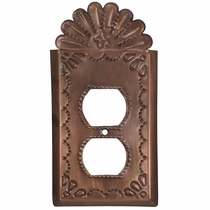 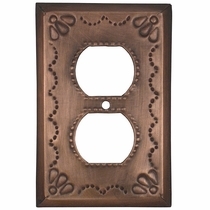 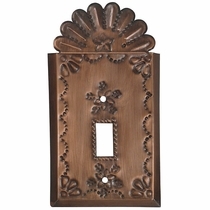 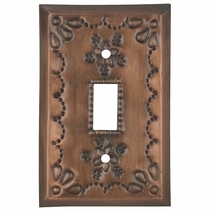 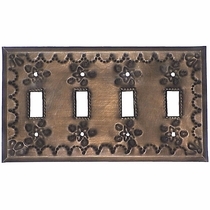 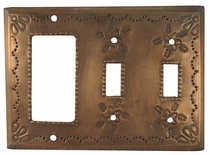 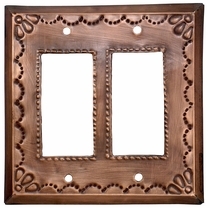 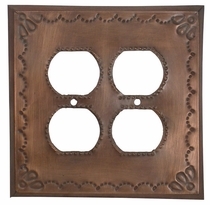 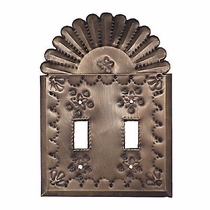 Our punched tin star design switchplates and wall outlet covers add that final touch to any southwest, rustic or Spanish Colonial themed room. 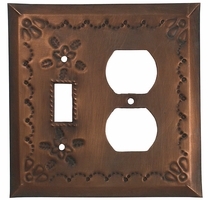 We have decorative tin switchplates and outlet covers for single double, triple and quad electrical outlets and light switches. 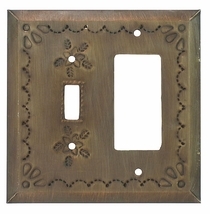 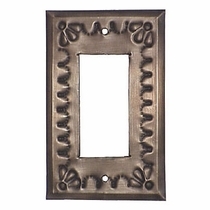 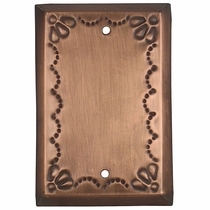 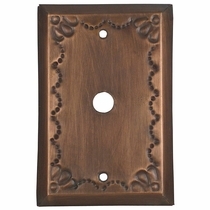 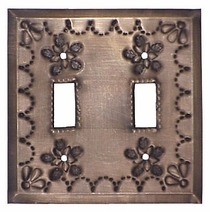 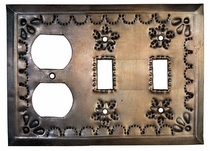 All of our rustic switchplates and covers are handmade from tin by metalcraft artisans in Mexico. 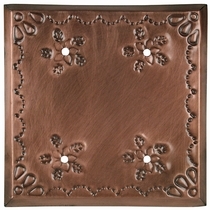 Expect these items to have some variations in color and size.